Located on stand G1, near the centre of the show, our trail starts with Claas which will be showcasing its refreshed Arion and Axion tractor ranges. Heading into its third generation, Claas’ Arion 500 and 600 Series make up the firm’s most popular tractor offering, with both four- and six-cylinder models offered. Thanks to a new 660 model this range now boasts power over the 200hp mark, and at the other end of the spectrum a new 510 model takes the range down to 125hp. 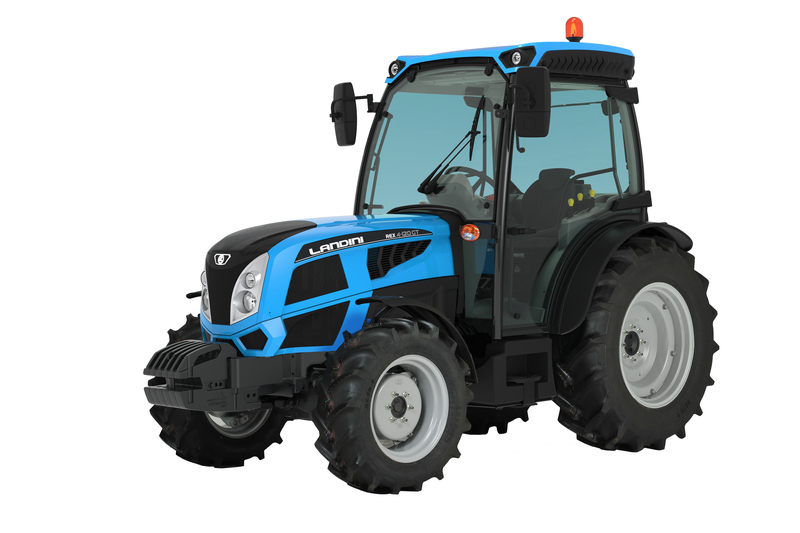 Larger wheelbase Axion 900 tractors have also been tweaked, with revised torque curves and a new 960 top model with 445hp introduced. 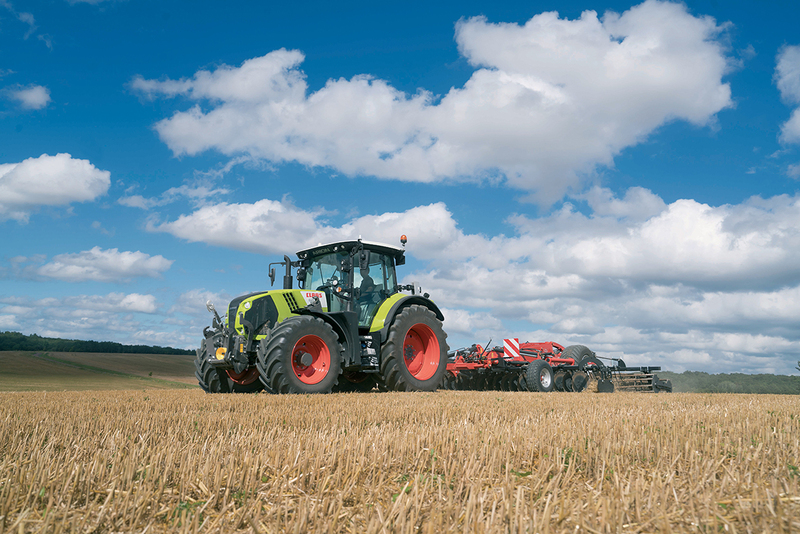 In addition, new spec levels and controllers also boost Claas’ tractor offering in its larger Arion and Axion tractors. 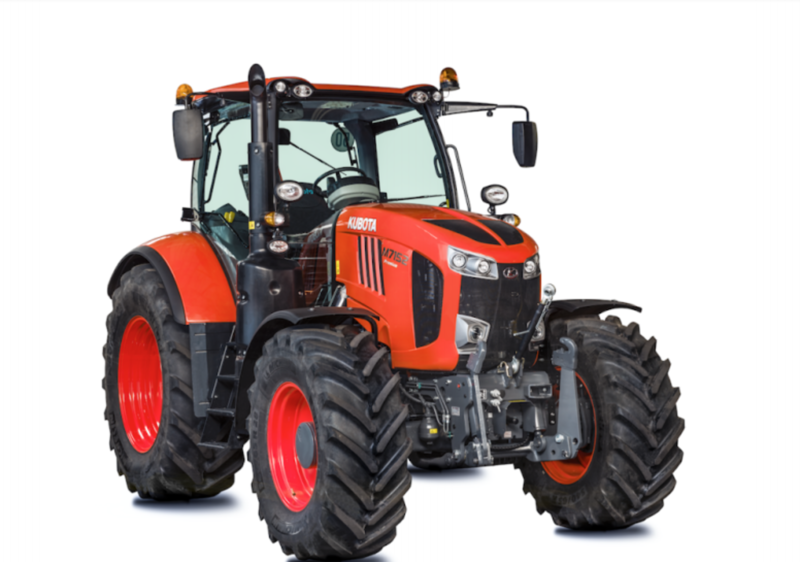 Across the way from Claas on stand R10 is Kubota, which will be showing its latest generation M7002 tractor series. Ranging from 130hp to 170hp, the series now benefits from a new 30 by 15 speed, ZF-sourced transmission, offering more powershifts, now six, in fewer ranges, now five. A creeper transmission is an option giving 54 by 27 gears. In addition, maximum permissible payload has increased to 11,500kg and larger tyres can be fitted - up to 710/60 R38 at the rear. Improvements have also been made to the main joystick and the headland management system, said to make operation easier. 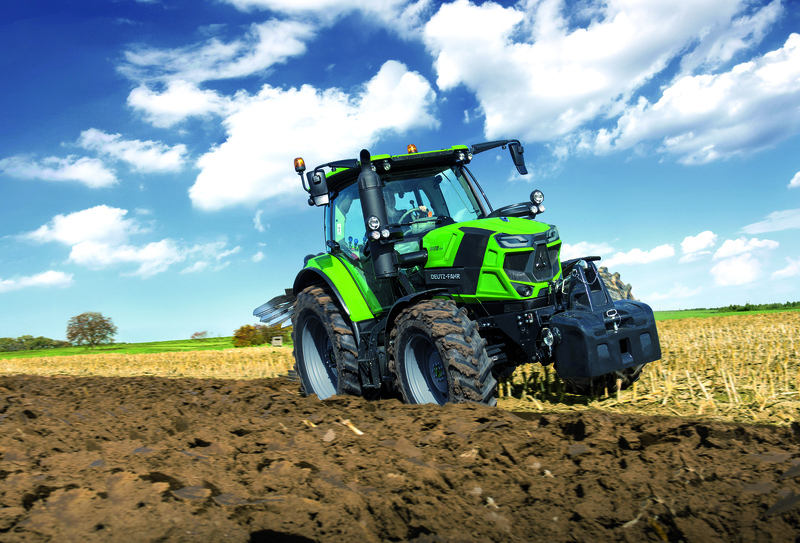 Just north of Kubota and the stars of Deutz-Fahr’s stand will be its new line-up of four-cylinder, 6 Series tractors. Six new models will be available; three large models from 156 to 171hp which overlap with equivalent six-cylinder models, and three smaller models which span 120 to 140hp. Three transmission variants are available for the larger models, all courtesy of ZF; a manual five-speed powershift transmission with 30 by 15 gears, the newly developed automatic RCshift gearbox with 30 by 15 gears (54 by 27 with creeper gear), and the continuously variable TTV transmission. The three smaller models use SDF’s own transmission, consisting of a 30 by 30 powershift or a continuously variable transmission option. Neighbouring the Deutz-Fahr stand is Zetor, with a new line-up of compact tractors. On show will be the new Hortus which is available in two variants; CL with mechanical shuttle, or HS with power shuttle. Both get a four-cylinder, 2.9-litre engine and a 24 by 24 speed transmission. Hydraulic performance is 39.1 litres per minute. It can lift 2,500kg at the rear and it gets a three-speed pto. Now owned by Indian manufacturing giant Mahindra, Armatrac will be showcasing a range of its tractors including the 50hp 504E, 75hp 804 and 113hp 1104Lux. The newest addition is the 804 which features a four-cylinder Perkins Stage 3b engine. This new model brings with it a more contemporary cab interior with digital climate control. Transmission package comes from ZF and boasts a 40kph top speed with 16 speeds in forward and reverse. The four-wheel drive 804 Lux comes with a 3,200kg rear linkage lift capacity, hydraulic top link, two hydraulic spools and 540/540E pto speeds. First seen at the American Farm Progress Show, then subsequently at Germany’s Agritechnica Event, New Holland’s methane-powered tractor concept will be making its way to Lamma. 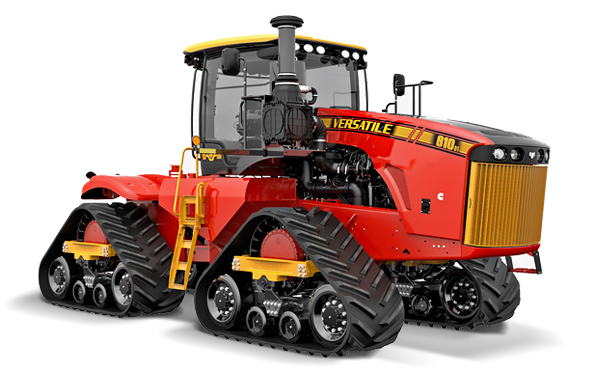 Located on stand R58 in the upper left corner of the site, the concept tractor will also be joined by several new tractor models including the new T6 range with Dynamic Command transmission. At the heart of the three range, eight-step semi-powershift transmission is a dual clutch concept, similar to that used to shift ranges in the firm’s Auto Command transmission. This allows faster and smoother gear shifting says the manufacturer, with all range shifting fully robotised. Operation features of the new transmission include speed matching, automatic shifting and a brake to clutch function. Around the corner from New Holland is McCormick. 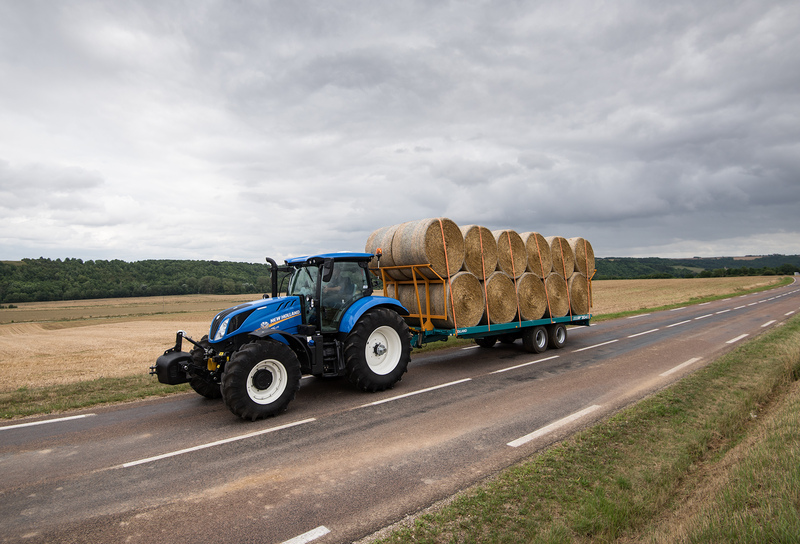 Bridging the gap to its larger X8 tractor range, the firm has added a new, more powerful model to its X7 range. Topping out at 225hp, the new X7.690 features the same engine as the X7.680, but has been beefed up at the rear to offer a 1,000kg increase in lift capacity, which is now up to 10,500kg. Other updates to the X7 range include the new ZF-sourced PS-Drive transmission, which features six gears in each of the five, electronically shifted ranges. 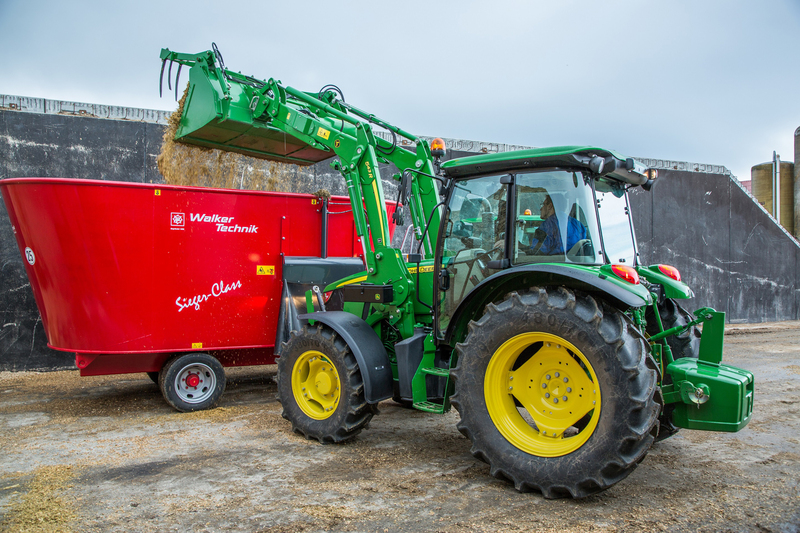 It also gets an auto-clutch function, allowing the tractor to be held on the brakes without pressing the clutch pedal. Occupying the same stand as sister brand McCormick, Landini will be showcasing its new Rex 4 range of compact tractors. Featuring a new cab with flatter floor and improved ergonomics, the Rex 4 tractor range is available with various track width options, including orchard and vineyard configurations. The model most suited to farming will be the GT, general purpose type, says the manufacturer. Powering the six-model range which spans 70 to 112hp are 2.9-litre, four-cylinder Deutz engines. Hydraulic pump options are plentiful too, including double and triple pump options up to a combined flow rate of 110l/min. Making your way across the site and we come to Agco world, starting with Fendt. 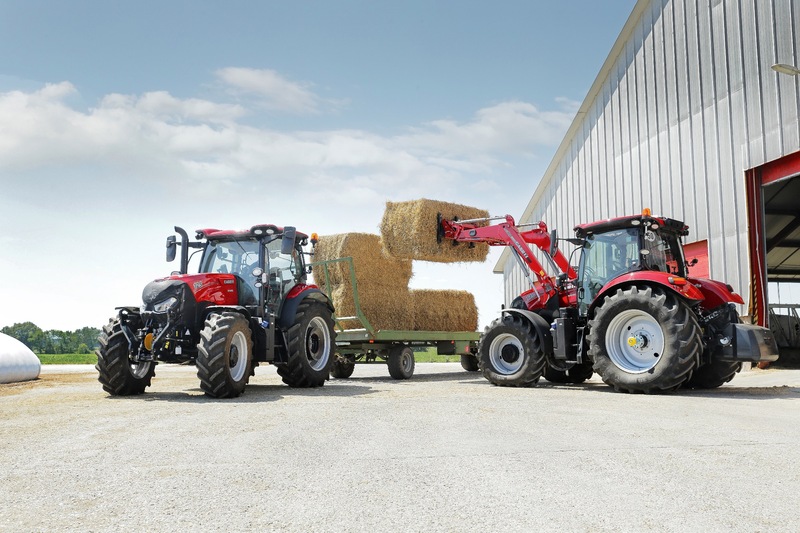 Applying technology developed for its 1000 Series tractors, the Bavarian firm has breathed new life into the tracked tractor range inherited from fellow Agco brand Challenger, a brand no longer available in Europe. 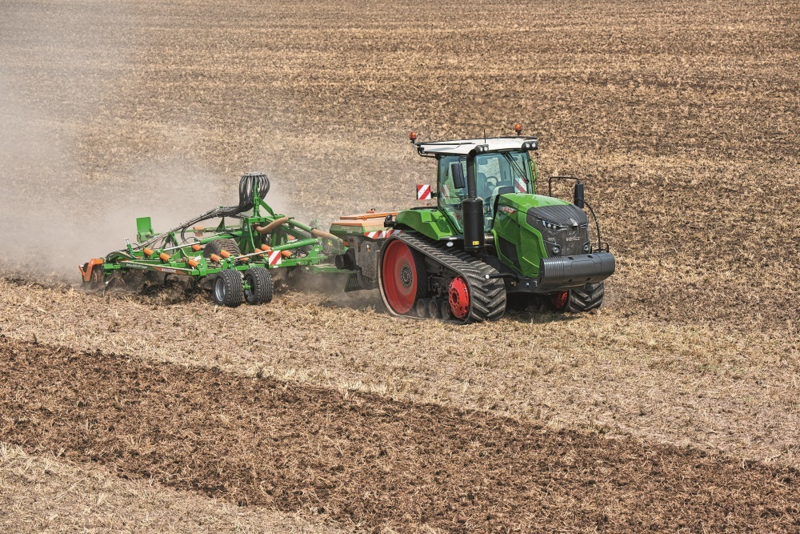 As before with Challenger, two ranges of Fendt tracked tractors will be available; the larger four-model 1100MT range, from 492 to 646hp; and the smaller three-model 900 Vario MT, from 380 to 430hp. 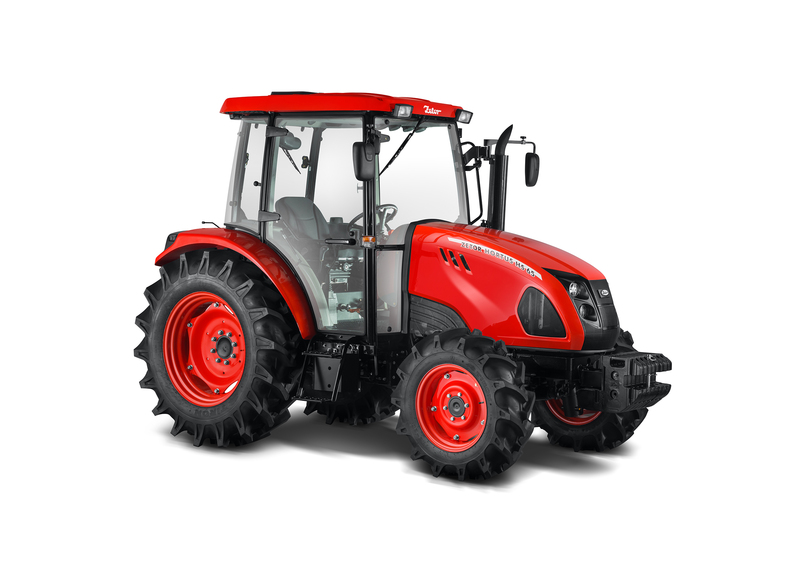 While the larger 1100MT sticks with the same V12 Agco Power engine, 16-speed Caterpillar transmission and Challenger cab interior, it is the smaller 900 Vario MT which has seen the most redevelopment. This includes the use of a continuously variable transmission, a push type cooling package and a heavily re-designed undercarriage. Sandwiched in between fellow Agco brands Fendt and Massey Ferguson, Valtra is not short of tractor developments. 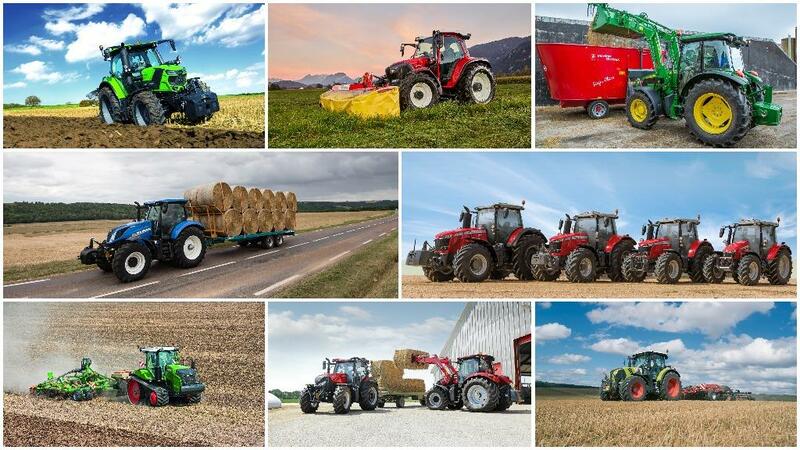 Last year saw it complete its fourth-generation tractor family, with the launch of a new A Series, more powerful N and T Series models and its new SmartTouch control concept, as first shown on its flagship S Series. In addition, it will also be showing it new heads-up display concept, SmartGlass. Described as a double-boost function by the Finnish firm, four-cylinder N174 models now have up to 201hp available for transport and pto operations. Similarly, the firm has developed a continuously variable transmission (CVT) version of its T234 Direct model, taking its highest powered T-Series CVT to a double-boosted 250hp. An additional T254 model is also available in HiTech, Active and Versu power shift specifications, which has up to 271hp available. The firm’s S394 model also gets an extra 5hp, giving it a constant 400hp. First introduced on its 6700 tractor series, Massey Ferguson is rolling out the ‘S Effect’ across the rest of its high specification tractors from the new 95hp 5709 S up to its most powerful 400hp 8740 S.
S Effect tractors can be identified by new bonnet and interior styling, including a new layout for switches on the multifunction joystick. The new models can also be fitted with the firm’s latest IsoBus-compatible Fieldsatr 5 touch screen terminal. Customers can also choose from a wider choice of receivers, for more accurate guidance and auto-steering. Depending on model, payloads have been increased, more transmission options are available and a new mechanical cab suspension has been introduced. 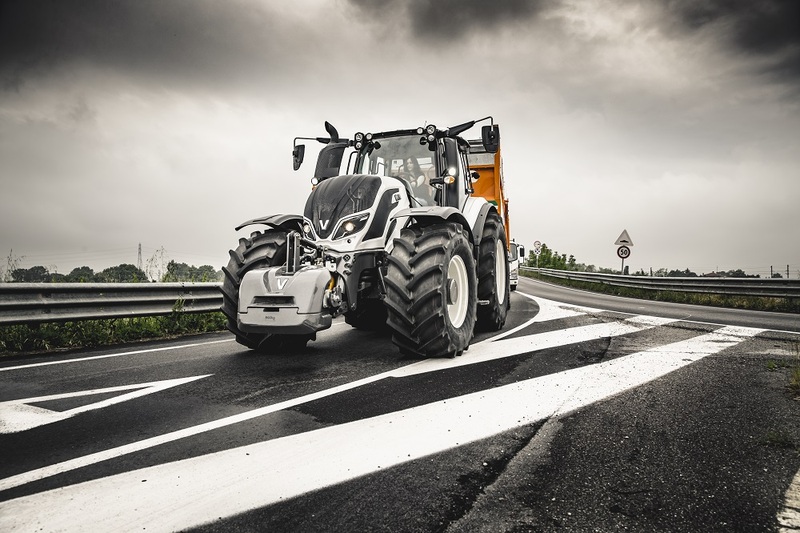 Up in the top right hand corner of the site, Italian brand Arbos will be showing its tractors in the UK for the first time. Sharing a stand with sister brand MaterMacc, Arbos will use Lamma to gauge visitor reaction to its 5000 Series. Comprising three models from 110hp to 136hp, two transmission choices include a 30 by 30 with two-speed powershift and mechanical shuttle, or a 45 by 15 gearbox with three-speed powershift and electro-hydraulic shuttle. Power comes from 3.4-litre, four-cylinder, Kohler engines. 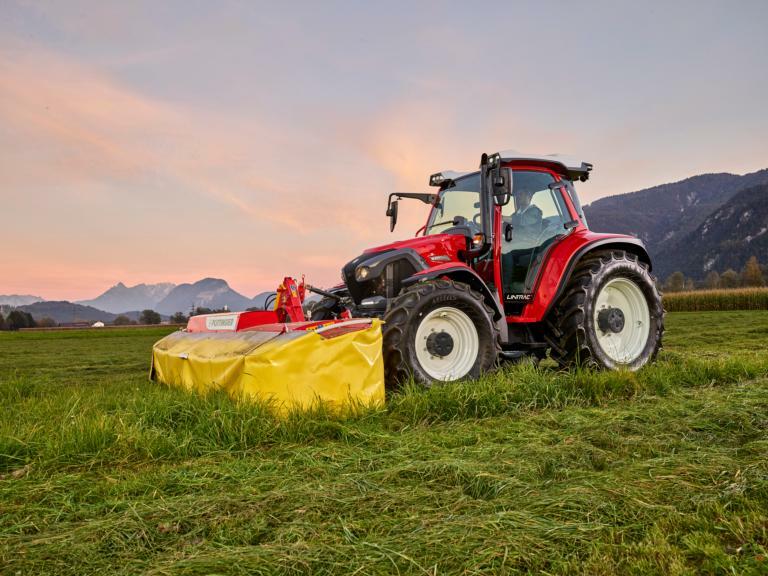 Featuring modern styling with a curved windscreen to help with visibility to loaders, Arbos says it aims to keep the tractors relatively simple for now, to appeal to a mass market. From Arbos, we head indoors into Hall 6, to find quirky Austrian tractor maker Lindner. Famous for its alpine-climbing tractors, highlights of its stand will be the new Geotrac 104 EP, a result of last year’s Lamma-show demand for a stronger compact Geotrac model, and the new Lintrac 110. The Lintrac 110 features four wheel steering and a continuously variable transmission. Its 113hp comes from a 3.4-litre Perkins engine, and it can be equipped with the 34inch tyres. 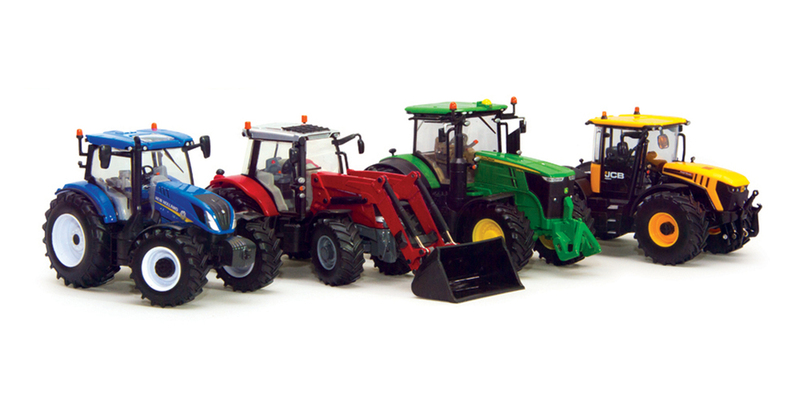 Heading out of hall 6, on the way to John Deere, you will come across Versatile tractor importer JPM Agricultural. Hard to miss, its stand will be occupied by Versatile’s latest 610 Delta Track, decked out in the company’s new black, red and yellow livery. Still retaining three models in the Delta Track range, power has been lifted which now spans 520 to 610hp. As before, a 15-litre Cummins engine is featured, along with a Cat powershift transmission. Providing gains at the tracks, Versatile says gearing ratios have been revised with an increase in pulling power by 15 per cent. Braking has also been improved by adding another disc at the rear, providing two rear- and one front-end braking system. To improve operator comfort, the cab now boasts suspension as standard on the tracked models, and a new touch screen terminal is also featured. It is also hoped, the importer will have a smaller, wheeled articulated tractor on the stand, the 405. Following the hype of its new 6230R and 6250R models last year, John Deere’s recent tractor developments are a little more modest and focus on the smaller end of its tractor portfolio. 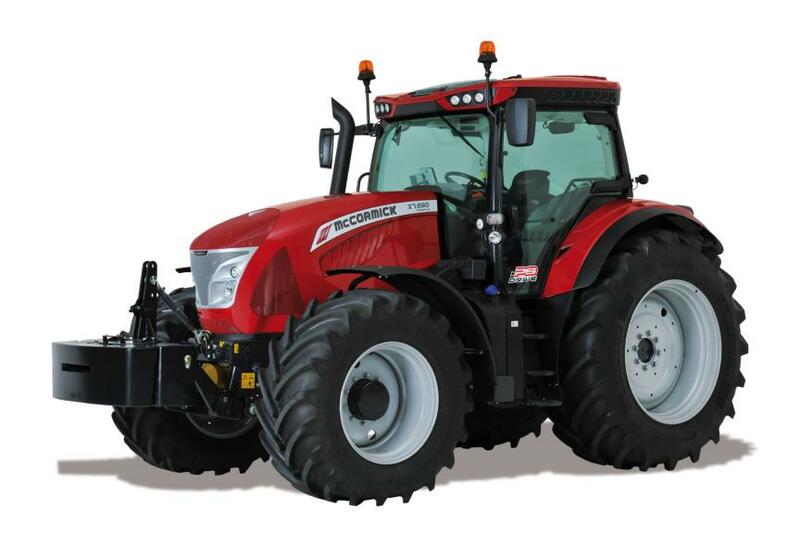 This sees a number of updates made to its four-model, 5M tractor series, spanning 75 to 115hp. All are equipped with Stage 3b compliant John Deere PowerTech PWX engines; a 2.9-litre three-cylinder unit on the 5075M, and a 4.5-litre four-cylinder unit on the three bigger models. Cabs have been updated to include an air suspended driver’s seat, more storage compartments, improved interior finishing, a new digital display and a redesigned gear lever with a new declutch function. These restyled tractors are also now available with larger 540/65R38 rear tyres, and a new lower bonnet design improves forward visibility, particularly for front loader and front-mounted implement work, says Deere. Rear hitch capacity has been also increased to 4.32 tonnes and payload to 7.5 tonnes. If your feet are still fit to travel at this point, a smorgess board of new tractors awaits you on Case IH’s stand, including its Quadtrac CVX, Maxxum ActiveDrive 8, Puma X and re-fettled Farmall C Series machines. New transmissions are the order of the day for the Quadtrac and Maxxum, which sees the four track beast get a continuously variable transmission option, and the venerable Maxxum receive a new powershift option. The latter comprises 24 by 24 gears via three ranges and is said to offer greater gear overlap, smoother and faster shifting with little torque interruption and increased flexibility of use. New Puma X models are designed to appeal to customers who do not necessarily want all the bells and whistles, with a lower specification offering. As for Farmall Cs, improvements include the option of heavy duty axles on models of 86hp and over, a constant speed engine function and true 40kph top speed at 2,000 engine rpm - 300rpm lower than before.